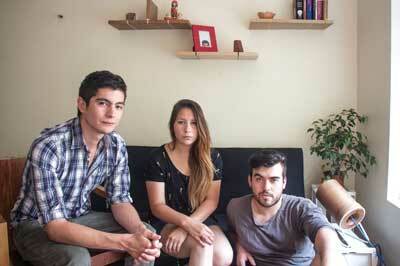 Nueve Design Studio is a small Chilean design studio formed by Karin Caceres, Gustavo Espindola and Patricio Silva. 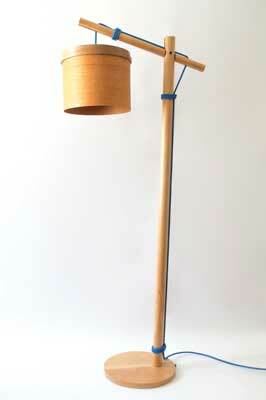 Combining materiality and functionality with storytelling, they've created an interesting collection of wooden objects. We find out more about them here. Nueve Design Studio: We are designing a new product: lamps with blown glass and modular carpet. NDS: We all have our sketchbooks. They are a little messy but they help us to start a project. We could not live without our notebooks. NDS: Our last purchase was a tablesaw. This helps us to prepare our prototypes. Once we have prototypes ready, we take them to the workshop. NDS: Our favourite piece is the 'DSW' chair by Charles and Ray Eames. We love the mix of materials; the plastic seat that is contained by a metal structure with wooden legs. The structure is what we like most. It is a conception of architecture on a different scale. F&C: Why did you become furniture makers? NDS: Our country has a variety of different timbers, we are surrounded by forests. There are many varieties of colours, sizes and different veins. 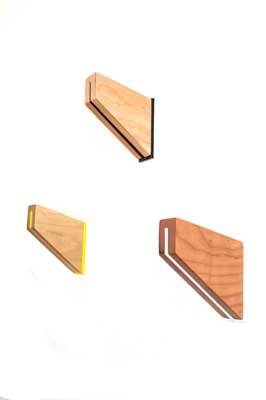 We love wood; it is a noble material with versatility. We can use it in furniture, accessories, construction, etc. We can do everything with it. NDS: Our inspiration is people. We want to create warm and natural spaces for them. The features from each material and potential uses in our new projects inspire us. NDS: This is a fun question! We love music, it's part of our lives. While working on these product lines, our soundtrack was Mondo Cane by Mike Patton, AM by Arctic Monkeys, all Nicola Conte CDs, Devendra Banhart, WhoMadeWho, Alex Anwandter and others. 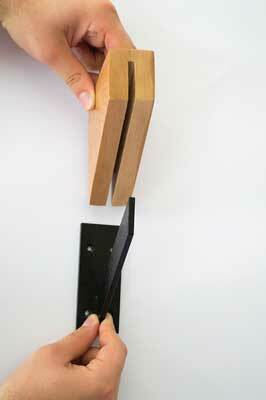 NDS: Recently, carpentry has caught our attention especially the handmade element. 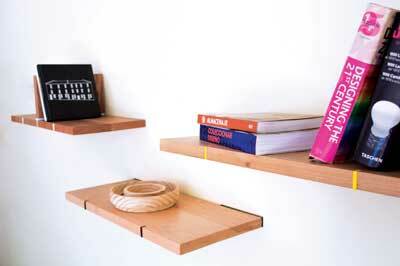 We believe that products are made with love, as with the Chilean design studio Bravo! NDS: We have several mentors, one of them is our master carpenter. He knows much about wood. He taught us about the love of wood. He taught us the things that may or may not do with wood. We also have to recognise that we really like the work of Philippe Starck, as it makes the impossible possible. We are also fans of Tom Dixon and his lamps, they are really good! NDS: We believe that design goes hand in hand with the technique. It is important to note both things. We can't make one thing without the other, they are indispensable in creating. NDS: No, all the time people forget the outdated modes of work. Now it is working with CNC routers and laser cutting etc., but the outdated modes of work aren't a bad thing, they should be recovered and appreciated more. NDS: We exhibit our work on our website, blogs, design magazines and at design fairs. NDS: We love designs that separate the target. The important thing is to consider your ideals and the fact that you're the designer, not the other person. NDS: We believe that ideas are everywhere, you have to know, watch and listen for the answers to the problems. Then the design method is responsible for shaping all abstract information. F&C: Do you consider yourselves to be artists or craftsmen? NDS: We haven't got a strict method of doing things, we can start with some concept using our sketchbook, then a 3D model. Next we make the first prototypes, then the prototypes in the real material and finally the furniture or end products. This can vary, sometimes we don't need a concept to design, rather we are discovering in the process. NDS: No, furniture design covers a market segment that seeks custom objects. They are unique and there will always be people who want to differentiate. NDS: Our advice is to always dare to go further because nothing is impossible. You just have to have the courage to do things. It is important to have people who support you. You have to be consistent and have goals, and think what are you doing to make them happen. NDS: We understand the market but nothing especially bothers us. We can see that in some areas there is a lack of quality and a variety of people who buy these items, but we look outside of that.